Gully-like landforms, or ravines, are most common in the middle latitudes of Mars, but also occur in polar and equatorial latitudes. 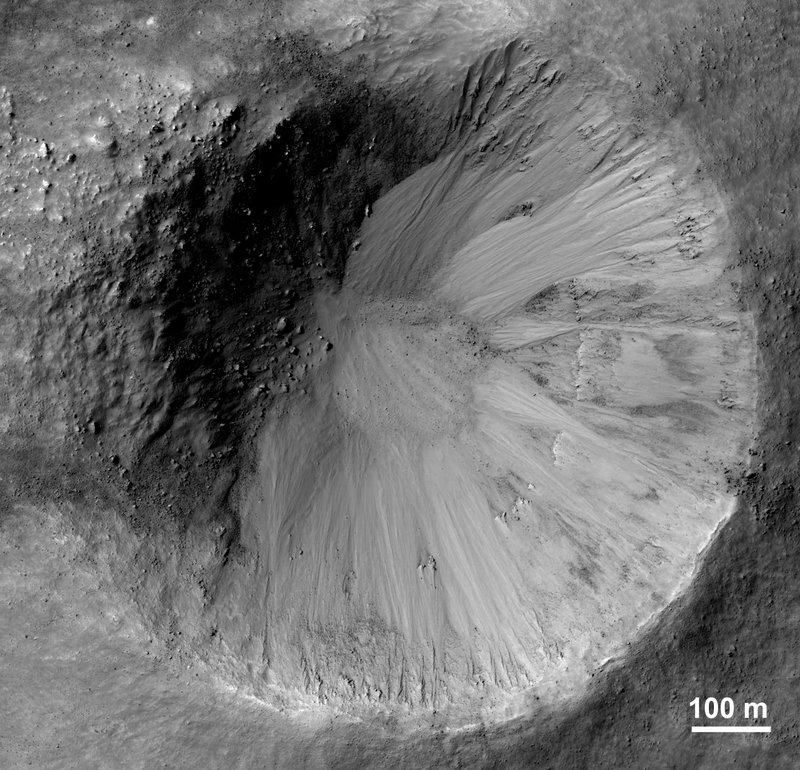 We see here an impact crater about 900 meters wide, with distinct gullies on all inner slopes except in the northwest sector of the crater. The crater formed on the side of an ancient channel, so the northwestern section slumped into the channel, so the slopes are not as steep. This region of Mars is called Libya Montes, near the equator on the south edge of the Isidis impact basin. These are typical gullies with alcoves at the top, channels, and depositional fans at the bottom, but the alcoves are relatively small compared with many other mid-latitude gullies. 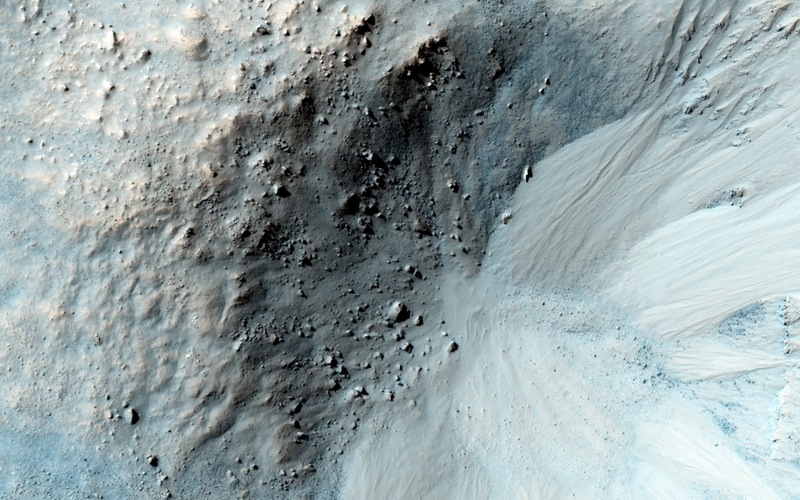 HiRISE has shown that gullies are actively forming today in the southern mid-latitudes, aided by the seasonal deposition of carbon dioxide frost or dry ice. The equatorial gullies here appear pristine at the scale of HiRISE, with no superimposed craters or windblown deposits, so the gullies formed in the recent past and could still be forming today. Here in the Martian tropics, it is too warm for dry ice to help fluidize the movement of debris, but the slopes are probably steep enough for dry mass wasting to move dry particles, perhaps aided by water in the crust to reduce friction.